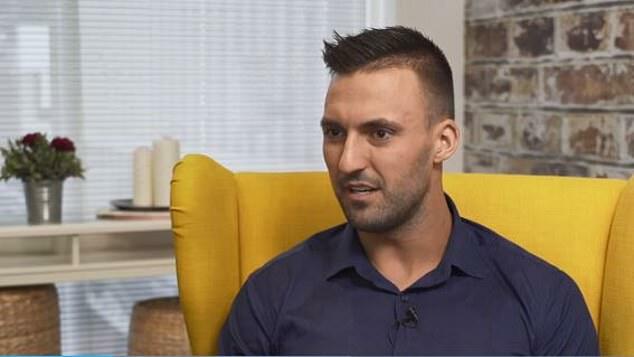 Married At First Sight’s Nic Jovanovic has revealed his testicular cancer returned while he was filming the reality show last year. The 28-year-old electrician, who battled the disease four years ago, told 9Honey on Monday that he first noticed his left testicle had shrunk around December 2018. By Christmas time, he discovered a ‘semi-hard kind of lump’ on the testicle, which prompted him to consult a doctor. He was then diagnosed with testicular cancer for a second time. At the time, Married At First Sight had just finished production and the cast had yet to return to film the reunion. Nic, who first discovered the abnormality while checking his testicles in the shower, said he experienced feelings of disbelief and helplessness after the diagnosis. ‘How does it come back? Why? What have I done to deserve this? What have I done? What am I doing wrong?’ he recalled asking himself. Remarkably, Nic delayed undergoing surgery by a week so he could film scenes for Married At First Sight. 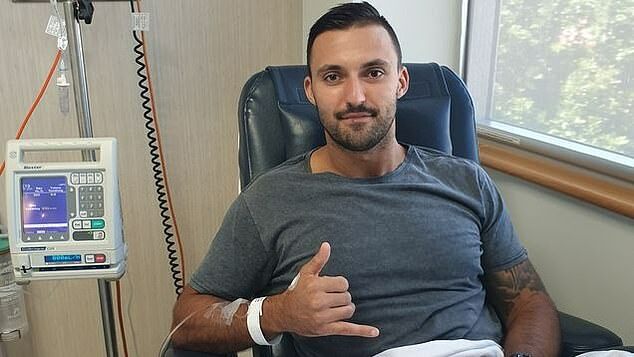 When he eventually went in for the procedure on January 29, MAFS had already premiered and nurses at the hospital recognised him from the show. Today, Nic is cancer free thanks to the surgery and chemotherapy. Earlier in the season, Nic told his ‘wife’ Cyrell Paule that he is unable to ejaculate due to complications from his first testicular cancer surgery in 2014. Before that procedure, he froze his sperm which has allowed him to have children in the future if he so chooses. Nic and Cyrell left the social experiment on bad terms before the final commitment ceremony. They will return to the show for the reunion episode in the coming weeks. The Facial Hair Beads Viking Use to Wear!